Because so many have expressed how these posts have been helpful, I want to help more! 🙂 You might find some of the “older” posts helpful as well. 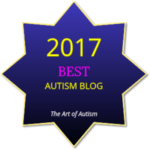 I’ve decided to feature specific blog posts in categories, for easy navigation, to make these older posts easier to find. Please Note: I haven’t categorized every post; I’ve selected those posts that are most likely to be relevant; thus, these categories may not contain all posts that apply.